Why were you given your name, out of the billions of possibilities to choose from? Were you named after someone? Or did your parents just like how your name sounded? Perhaps the meaning of your name was why they chose it? No matter the reason behind it, your name is your identity. This article examines naming patterns of different cultures and the impact it has on an individual. In the Western hemisphere, it is apparent the most popular names are usually those of religious saints, people of nobility, and other significant human beings throughout history. For instance, people in England and other parts of Europe name their children after previous royal members, such as George, Henry, Elizabeth, and Louis. In Latin America, people tend to name their children after religious figures, such as Maria, José, Pedro, and David. This preference in naming is similar to Muslims, often naming their sons Muhammad or Ali and their daughters after Maryam, Fatima, or Aisha- all significant figures in Islam. 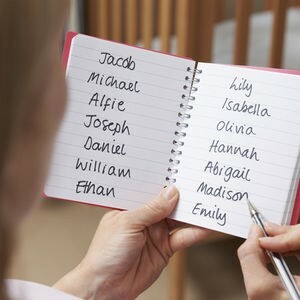 In Asian countries like China and Pakistan, people name their kids because of the meaning of their names, with the mentality that giving children good names will reflect on their character. Popular Chinese names include names translating to Great, Brave, and Strong for boys, and Beautiful, Quiet, and Elegant for girls. Popular Pakistani names have a similar pattern. Examples are names in Urdu that mean Rose, Pearl, Moon, Sunlight and Star for their daughters and Trustworthy, Generous, and Religious for their sons. My name, Uroob (Uh- roob), means the Princess of Heaven and her qualities. Of course, such a unique name has many interesting ways of pronouncing it by those who never heard of it before. In freshmen year, my Geometry EOC proctor pronounced my first and last name as “You rob seed” as he was calling roll. Senior Lianys Olmeda has a recent experience when Mrs. Barbieri’s non-English- speaking sub called her “Liango.” One time, someone pronounced senior Danielle’s last name Barnych as “Barnacle.” Despite irritating instances as these, we should be proud of our names and do our best to live up to its meaning.